The Financial Participation Agreement between Horry County and the South Carolina Department of Transportation, approved by Horry County Council November 28, 2018, appears to have many flaws not discussed before a resolution was passed allowing Horry County Administrator Chris Eldridge to sign the agreement. 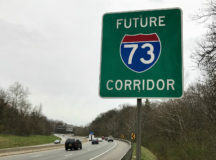 Generally the agreement provides that Horry County will provide up to $25 million per year from Hospitality Fee revenues to fund the construction of I-73 within Horry County (the Project) and SCDOT will oversee the project from design through construction. I find the use of the word “shall” interesting here in that it means a strong assertion or intention of something happening. Are we to take it to mean the county intends to approve the work plan prior to each June 30th? Does this mean county council really has much of a choice in the decision? 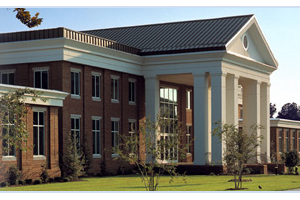 At least a half dozen times during the over one hour discussion about the project and the agreement county council members were told by then council chairman Mark Lazarus and/or county staff members, predominantly administrator Chris Eldridge and attorney Arrigo Carotti, that no money could be spent on the project without prior approval from county council. Flood Relief Monday at The Warehouse in Conway, November 19th from 11 a.m. til 7 p.m., will benefit the family of Conway native Mike Roberts this week. The event will be the second in a series of Flood Relief Monday events at The Warehouse established to help local citizens recover from uninsured damage from the recent Hurricane Florence flooding in the county. Roberts and his family suffered approximately $150,000 in uninsured damages when the flooding from Hurricane Florence brought three feet of water into his riverfront home in Conway. The family was able to save some possessions from the flooding but the home suffered damage to walls, floors and other areas and furnishings from the floodwaters. With the help of his neighbors and friends, Roberts has begun the lengthy process of tearing out sheetrock and other damaged structural elements and hauling the resulting waste away. The family plans to restore the home and continue living in their Waccamaw Drive location. Roberts is a lifelong Conway small business owner and has also been a candidate for political office in Horry County Council District 7. Known as being a spiritual individual, dedicated family man, strong supporter of his local community and ‘Man of his Word’, Roberts has been quick to help others in need through the years. Monday’s event provides an opportunity for his friends and community to give back to Roberts in his time of need. Spaghetti plates (eat in or take out) will be sold for $7 from 11 a.m. until 7 p.m. with all proceeds from the sales being donated to the benefiting family. In addition, from 5 p.m. til 7 p.m. each Monday, diners will be treated to donated live entertainment with local politicians donating their services as celebrity servers with all of their tips being donated to the benefiting family. Citizens can also make direct contributions to the cause. Corporate sponsors pay $100 each week for their sponsorship with all proceeds going to the family. During its regular meeting Tuesday night, Horry County Council passed third reading of a rezoning and development agreement that will allow nearly 1,300 homes to be built in the Buck Creek community. The vote was 7-4 to approve the rezoning despite pleas from residents in nearby Arbor Glen to turn the development down. The majority of council members who voted to approve the development rezoning got the cover they needed from county staff to attempt to justify their Yes vote. The development meets county standards for stormwater management, which are based on 25 year flood projections for normal rainstorms, according to statements by staff. The standard of the 25 year flood is quite low, but meets state requirements. There was much discussion that Hurricane Florence was a historic event, which is true. However, when taken into consideration with the flooding brought on in the state and local area by Hurricane Joaquin in 2015, Hurricane Matthew in 2016 and Hurricane Floyd in 1999, we can say the flooding from Hurricane Florence was historic but should not have been a huge surprise. These flooding events are becoming more common, but county officials are apparently satisfied that planning stormwater management for the 25 year flood is sufficient and anything beyond that can be attributed as God’s Will. It was pointed out that the land for the specific development approved Tuesday did not flood from the effects of Hurricane Florence and one access road to the property remained open after the storm. However, no one really knows what will happen to the area and its access roads, or other areas and their access roads in the development pipeline, during similar storm events as those mentioned above when nature is replaced by the concrete and macadam associated with new sub-divisions. Council member Paul Prince, in whose Council District 9 the new development will be built, proudly said he toured his district after the storm and the Longs community and the rest of the district fared well compared to other areas of the county. Horry County Council will consider third reading of a rezoning Tuesday night that would allow development of an anticipated 1,292 residential units plus some commercial space in the area of Old Buck Creek Rd. and Hwy 905 in rural Horry County. The picture accompanying this story shows Buck Creek flooding Hwy 905 just south of this proposed development. A short distance downstream from the proposed development is the Aberdeen development that suffered considerable flooding that flowed over SC 9 closing that road for over one week. Several miles down Hwy 905 is the Polo Farms development that seriously flooded from the storm and suffers flooding during hard rainstorms. The question must be asked, is this the time to approve a development of nearly 1300 homes to an area that is prone to flooding. Even if the property itself doesn’t flood after it is developed, do we really want 1300 new homeowners essentially cut off from the rest of the county when the next flood occurs. And it’s not a question of if another flood of this type of magnitude will occur, but when. I can quickly think of three times in the last 19 years that SC 9 and Hwy 905 by Buck Creek have been cut off by floodwaters. The county only developed a stormwater management plan after suffering the effects of Hurricane Floyd in 1999. It can be argued that county officials have been trying to catch up with controlling flooding and the effects of new development on various areas of the county ever since. Aberdeen, Polo Farms, Forestbrook and areas in Bucksport come quickly to mind. Another consideration is the paucity of first responders in the area. The nearest fire station to this proposed development is an all-volunteer station with no career, full-time personnel attached. This area is part of the North Police Precinct, which is understaffed with a large area to patrol for those few officers available on each shift. City of Conway officials received a briefing from SCDOT officials yesterday about the barriers at the US 378/US 501 intersection in Conway. 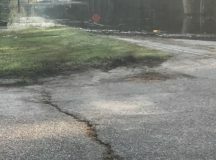 SCDOT officials said the Waccamaw River is expected to crest approximately three feet higher than it did from Hurricane Matthew two years ago. Without the barriers, SCDOT models projected US 501 would be under three feet of water when the river crests. SCDOT is placing the barriers in an attempt to maintain a one lane each way lifeline for supplies to Myrtle Beach along US 501. US 378 will be the lifeline into the county and US 501 the lifeline east of Conway to the beach areas. All other access roads into the county are expected to be closed due to flooding, according to the SCDOT models. Officials said there may be more flooding of homes than has been seen in past storms because of the historic levels the river will reach. However, no homes were being intentionally sacrificed in order to divert floodwaters. During the half hour video I watched, no mention was made of the coal ash ponds near the former Grainger Generating Station. However, the letter from Gov. Henry McMaster demonstrates there is also concern of that issue. GSD received information from a former Santee Cooper official who was present during the meetings of county and city officials during the 1999 Hurricane Floyd flooding. According to the official, sacrificing US 501 by dynamiting the road to create a trench through which floodwaters could flow in order to reduce flooding into Conway and the Grainger plant was discussed. That move never became reality during the flooding from Hurricane Floyd. Conway officials mentioned they had been left out of the loop of initial planning discussions for the barriers. SCDOT officials and Horry County Council Chairman Mark Lazarus promised better communications with city officials.